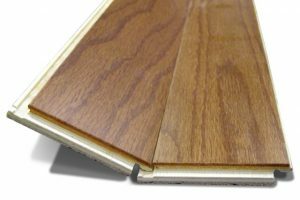 If you are considering upgrading the flooring in your home there are many flooring types and installation tips that you should know. There are practical considerations in choosing flooring, just as there are design considerations. Floors in well used areas of the home take a lot of punishment on a daily basis and therefore must be able to stand up to the job. One thing to consider is how much wear and tear the flooring will receive. Flooring in hallways, entranceways, stairways and kitchens will see a lot of traffic and will need to endure heavy usage with mud being tracked and constant foot traffic. Some areas of the home definitely need to have flooring that is washable. This is especially true in kitchens, bathrooms and children’s bedrooms. They need to be easy to clean and resistant to staining so that they will last for a long time. Permanent flooring is a wise choice for kitchens and hallways, yet it has to be a choice that is not too difficult to change when it outlives its usefulness and starts to show signs of wear and tear. Take a look at the condition of the existing floor. The wood may need to be replaced or sanded. In some cases, it may be easier and cheaper to cover it up with another type of flooring that it is to repair it. If you have a hardwood plank floor, re-sanding and finishing may be a cost effectivve alternative. In considering the design of each room for the flooring, you should try to relate the flooring choice to the style of the room as well as how it is used. If you want to create a relaxing ambiance, then you need to avoid flooring that has bold colors and designs. If you have a small room where most of the flooring is hidden by furniture, then it would be a waste of your money and your time to invest in expensive hardwood flooring or a patterned floor. In a large room, pale colors and small patterns in the flooring will be lost. The size of the room has to play a role in your choice of flooring. Patterns also have to be well-placed so that the floor does not have a disjointed appearance. Before you make a final decision, it is best if you work out the design on a scale plan and collect samples of flooring that would suit the design you want to create. The best quality flooring is always a wise decision because you do get what you pay for in floor coverings. The price is generally your best guide to the quality of the flooring. If you cannot afford the best, instead of opting for cheaper grades of flooring, try looking at cheaper alternatives so that you do get value for the money you spend.